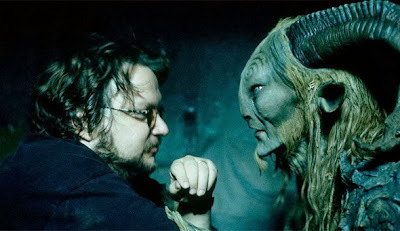 Oct. 9, 1964 - Guillermo Del Toro born. WRITING: Want an inside look into writing for the Michael J. Fox show? PRODUCING: What can the makers of "You're Next" teach you about making an independent horror movie? FINANCING: Why should studios act like indies? DIRECTING: How did Wes Anderson make the Royal Tenenbaums? SHOOTING: What are the signature shooting styles of 5 contemporary directors? LIGHTING: What are some horror film lighting tips? SOUND: Read an abridged history of the creative use of sound in film. STUNTS & FX: How can you create practical sci-fi special fx on a budget? EDITING: Which one of these 20 amazing movie title sequences will inspire you? MARKETING: What are 10 key steps to creating an effective movie marketing strategy? DISTRIBUTION: As you prepare for the AFM (American Film Market) what can you learn from Yahoo and the AFM itself? LEGAL: What are 2 questions you want answered before you pitch or shoot your film?